Who is shoring up markets? 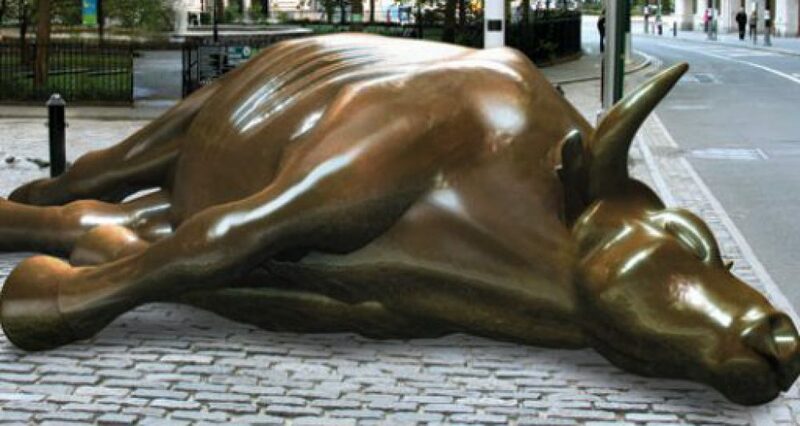 So global markets considered the Greek event with a one day sell off. Slight correction and all is well again. China is no longer in correction mode with the Shanghai index gaining more than 5% overnight. The euro strengthened overnight as well against dollar and Puerto Rico’s $72 billion debt bill will be serviced for the time being despite what the Commonwealth’s governor said. Welcome to the post-Lehman Bros. trading world, where central bankers buy and sell stocks, bonds, futures, currencies and commodities to shore up a troubled market. The terms investor confidence and investor sentiment no longer are valid reasons to buy the market during or soon after a crisis, because the sentiment maybe just the Federal Reserve, the ECB, the World Bank and/or the IMF shoring up a teetering market. One can’t be sure who is doing the shoring up and for what reason. One thing is sure, investor confidence and investor sentiment still applies on the way down as investors charge for the door. This entry was posted in currency wars, economy, monetary, Stocks soar, Uncategorized, Wall Street and tagged bonds, central banks, commodities, currencies., futures, Market intervention, stocks by Michael Gray. Bookmark the permalink.